We’ve made it to episode 15 of the new FRIDAY FIX podcast! In this episode we have some more thoughts about the Kernow Football Alliance as joint team manager Darren Gilbert suggests he’s keen to help the project succeed. And as we spoke after the midweek Helston v Bodmin, we also asked him about the game. As well as Gilby, there’s Mark Pratten the chairman of Millbrook. He maybe the chairman, but he also does a lot of other roles at the club. We have the manager of the first Saturday team to win their league as Threemilestone Reserves wrapped up Trelawny Division 4 last week. Liam Patterson, their manager, also confirms that the “pint a goal” offer for his prolific striker Chris Shackley did not go ahead. That’s saved Liam a lot of money! As usual Rappo is on hand to give us his “Bet of the Week”, his Combo review and join me in our Predictions on five games throughout the weekend’s football programme. 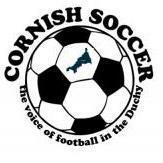 We also keep in touch with our resident Truro City supporters, Josh and Cam, and of course we speak to the SWPL secretary Phil Hiscox, another regular weekly contributor. 00:20 Intro and some chat about the week that’s gone! 1:14:43 Predictions – after 14 podcasts, it’s 4-2 to Rappo!